It seems like every other week there is fantastic new eatery opening in NoMad. 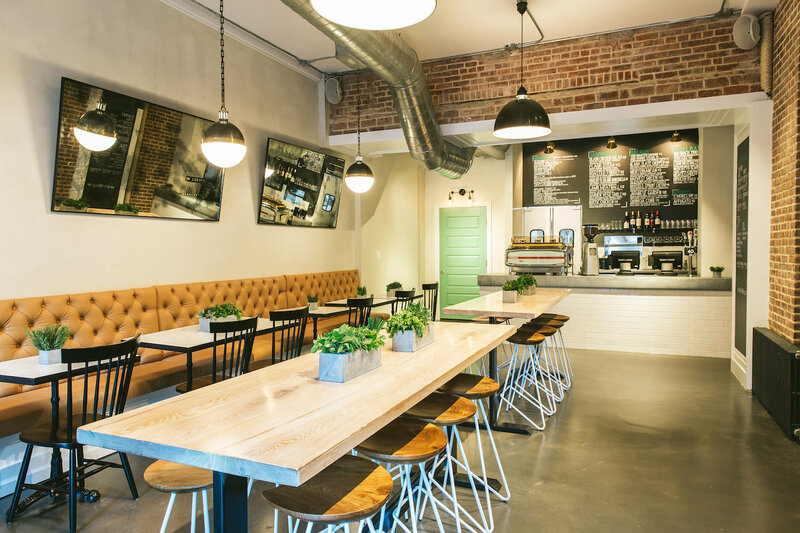 From Black Barn to La Pecora Bianca, we’ve seen many innovative additions to the neighborhood in recent months. Blank Slate Coffee + Kitchen is the most recent restaurant to join this exciting culinary scene. 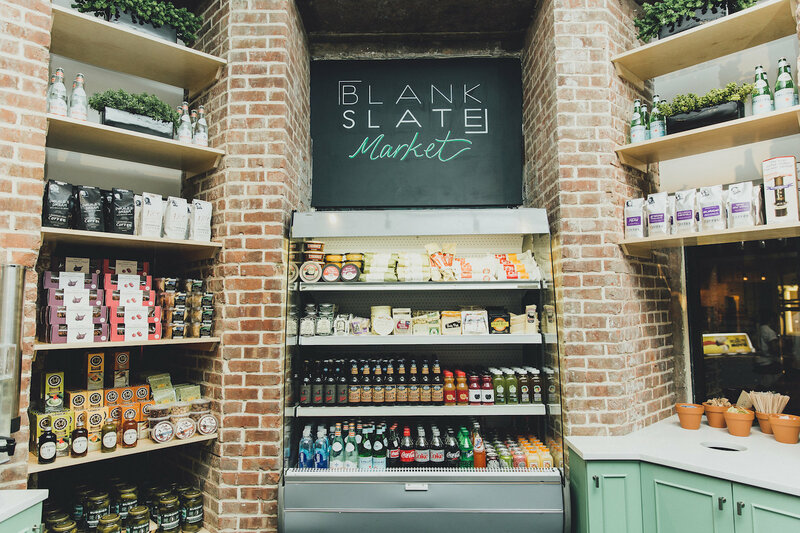 The brainchild of husband and wife team Zach Israel and Ashley Jaffe, Blank Slate is a vibrant cafe, coffee bar and marketplace all rolled into one. 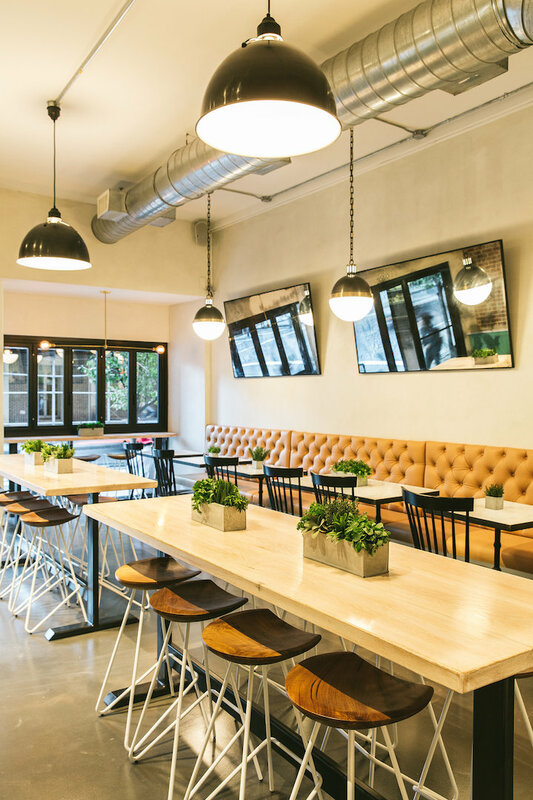 Priding itself on artisanal fresh foods, the 1,000 square foot restaurant features 36 seats and options for both dining in and takeaway. You may know Zach Israel from his roster of restaurants, including SideBar, Little Town NY and Tres Carnes. Ashley Jaffe, who is making her ownership debut, is also a fixture of the NYC food scene, working as a food and beverage publicist. Blank Slate’s mouthwatering menu, designed by Chef Barry Frish, features breakfast options ranging from Roasted Mushroom Scramble to a truffled goat cheese and egg sandwich. Lunch and dinner include sandwiches such as a rustic chicken and lamb meatball, as well as salads like the Blank Slate Chopped salad and Brussels Sprout Caesar. Frish, formerly a chef at Restaurant Marc Forgione, also conceived a small plates menu including prosciutto sliders, deviled eggs and more.